Hi, there! 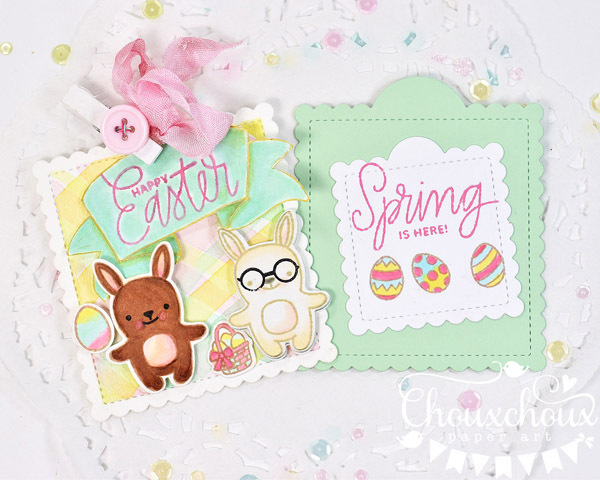 I'm guesting on the Pretty Pink Posh Blog today with an Easter card featuring two cute Pretty Pink Posh bunnies from the Easter Friends stamps. You might notice that one bunny is sporting a cute pair of glasses. You can find those on the Holiday Pals stamp set. The card base and front are die cut using the largest die from the Scallop Square Tags dies. The pieces aren't really attached just held together with a white clothespin. The inside sentiment is stamped on the smaller scallop square. If you would like to see more, like how to draw the fun banner and how to watercolor the plaid, check out the video. OMGosh, this is adorable, Lori! 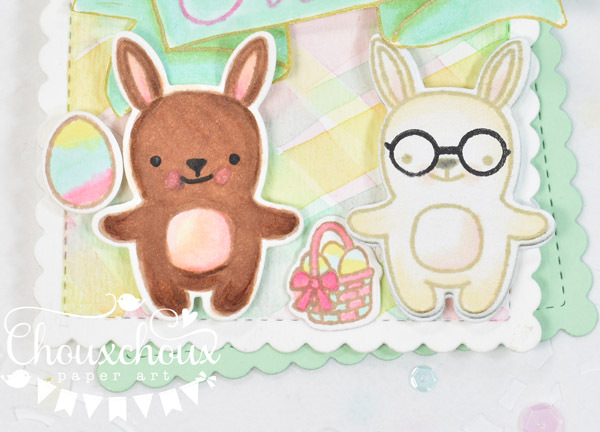 I love the sweet bunnies, and love that you added glasses to one. Your card base is really creative, too. What a fun idea to clip the two pieces together for your base. 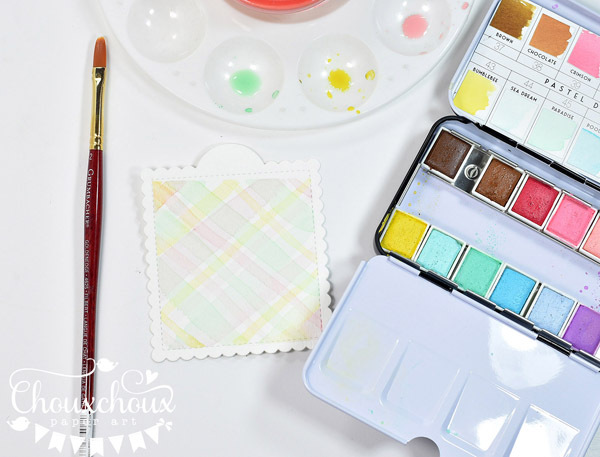 Love your watercolor plaid paper! Totally thought that was patterned paper at first! 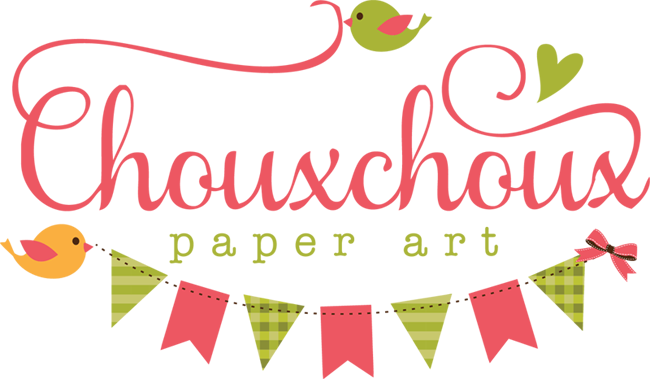 Congrats on your guest post at Pretty Pink Posh! They are lucky to have you! How cute and sweet card!! The glasses look so fun! And such fab watercolour plaid background you made for them!It seems a dp!! Great work!! 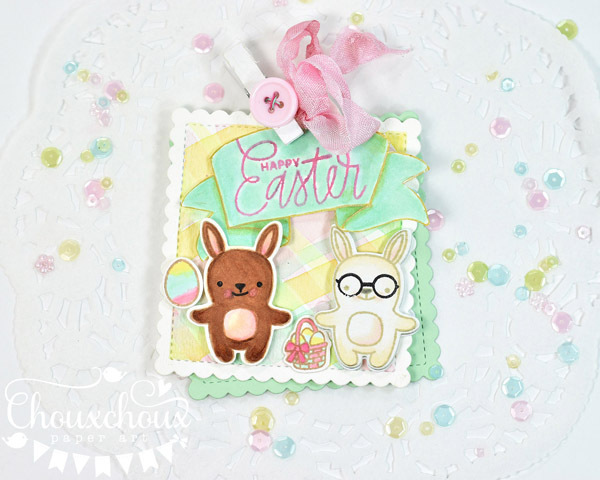 Awww...such a gorgeous creative card with the sweet bunnies! And, one so adorable with glasses! Love the plaid paper you painted! Huge congrats on your GD spot for Pretty Pink Posh...how fun!! totally adorable!! YAY for guesting with PPP!! they could not have made a better pick... you are amazing!! How much adorableness can I see in one blog post you ask? A lot with your blog Lori!!!!! Have a great weekend!!! I really must open my Prima watercolors & try them--thanks for the inspiration, Lori! Your card is just so sweet & beautifully colored! Love the white clothespin & beautiful bow! You're the perfect GD! 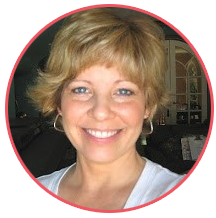 Lori, I really enjoyed your video. Loved your tips on the wc background, & your demo on making the banner. Like you, I don't profess to being able to draw. Your banner is just perfect, & I will try it. The card is just adorable. Thanks!!! Thanks SO much for the tute on making the plaid. I really want to try this. Precious cards Lori. Hugs! Oh my yes! Must try the plaid watercoloring!! Love this adorable and sweet card!! Congrats on the Guest Designer Spot! LOVE you projects! The watercolor background looks awesome... Fab technique & Video!